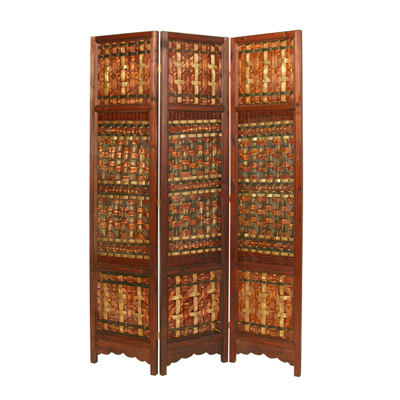 Give your home a bit of seclusion and beauty with the Palm Brass Screen. 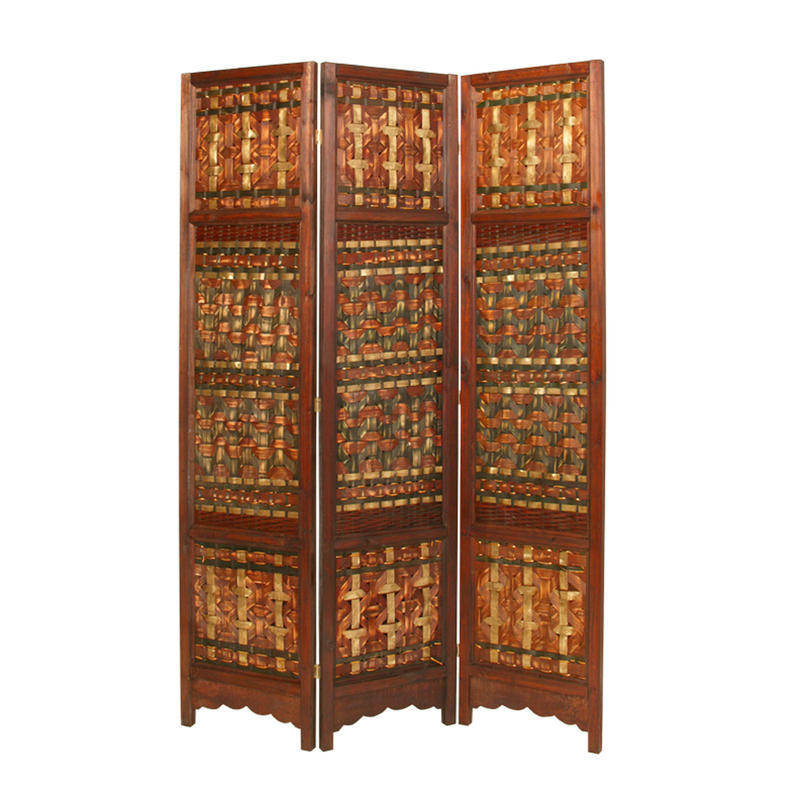 This screen features interwoven palm wood with brass sleeves and decorative braids. It is incredibly light weight, making it highly portable.